Big servers and grass courts are often seen as perfect companions. 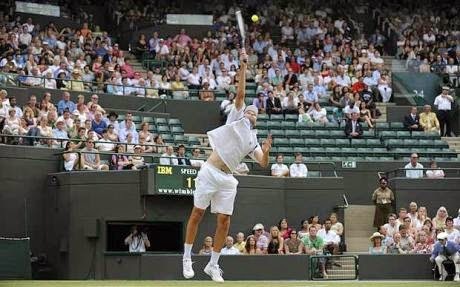 We remember the way that Pete Sampras dominated with his big serve at Wimbledon for so many years. We remember Goran Ivanisevic serving his way to the Wimbledon title, breaking the hearts of British fans in the process. With grass being the fastest surface, those players will big serves are often seen as having an advantage. However, is this true in the betting or are the big servers overrated in the markets? To look into this, we first have to get a selection of those players that are seen as the ‘Big Servers’. Thanks to the data of @Tennisratings, by applying the filter of looking at players that had a greater than 65% difference between hold/break percentages, we take the top 10 players on this list. These are the players that have a big serve and a poor return, so who rely significantly on their serve to win matches. If grass does give big servers a boost, these are the players that should see beneficial results on the surface. The ten players that are selected contain most of the names that one might expect. The trio of Ivo Karlovic, John Isner and Milos Raonic top the list. Daniel Brands, Kevin Anderson and Kenny de Schepper follow, while the former top-10 pair of Janko Tipsarevic and Jo-Wilfried Tsonga join them. The last two players are Sam Querrey and Michael Llodra. The first thing to note is that in the last 10 matches, not one of the ten players shows a profit. John Isner is the ‘best’ on the list with a 2.1% loss over the last 10 matches, while five of the players would have cost you over 25% of your money. The results over the last 50 matches, or all career matches if they have played less than 50 career matches on grass, show slightly more mixed results. Five of the ten players show a profit and five show a loss. Kenny de Schepper shows a huge 25.3% profit, boosted by a series of results in qualifying for Wimbledon 2011 and Queen’s 2012. However, in recent years, he has suffered defeats as a big favourite to the likes of Kyle Edmund and Alex Kuznetsov. The older trio of Ivo Karlovic, John Isner and Jo-Wilfried Tsonga all show long-term profit, which is interesting. It could possibly suggest an argument that the theory that big servers performed well on grass has been valid in the past. The profit from Sam Querrey could also lend credence to this theory. The slightly younger group of Kevin Anderson, Milos Raonic and Daniel Brands all show long-term losses on the surface as well as short-term losses. This could be that, in the period since they broke through, grass courts have slowed slightly, meaning the effects of big servers have dropped. The problem with assessing anything to do with grass courts is the relatively limited data sample. With there only being a handful of grass court tournaments each year, individual players can often only play a small number of grass court matches in each 12 month period. Players can change significantly in 12 months, which can make it difficult to separate out surface effects from changes in a player’s game. While grass does give the big servers a boost, it also negatively affects their returning. They hold serve more easily, but break serve less frequently, meaning that more sets tend to go to tiebreaks or are decided by a single break. John Isner is a particularly excellent tiebreak player, Tsonga is above average but the rest of the players in the sample have no obvious advantage in a tiebreak, despite their big serve. As a result, against weaker players, they are vulnerable in the breaker. The fact that not one of the ten players in our sample made a profit over their last 10 matches should certainly make us slightly wary of big servers on grass. There is certainly an argument that opposing the big servers can be profitable. Some of the big servers are likely to go off at relatively short prices a couple of times during the grass court season, so looking to take them on in the betting markets could be worth a second look.